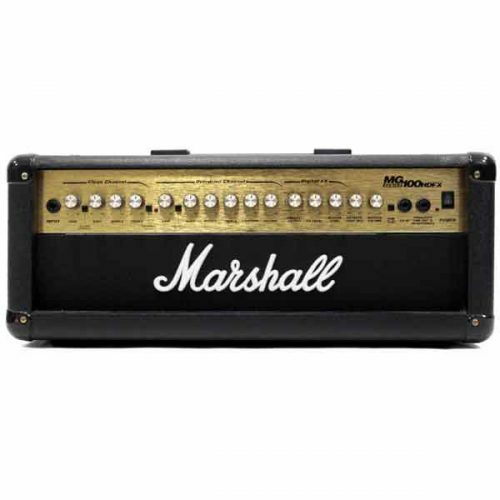 The MG100HDFX, 100-Watt monster is the addition to the ever-expanding MG Series. 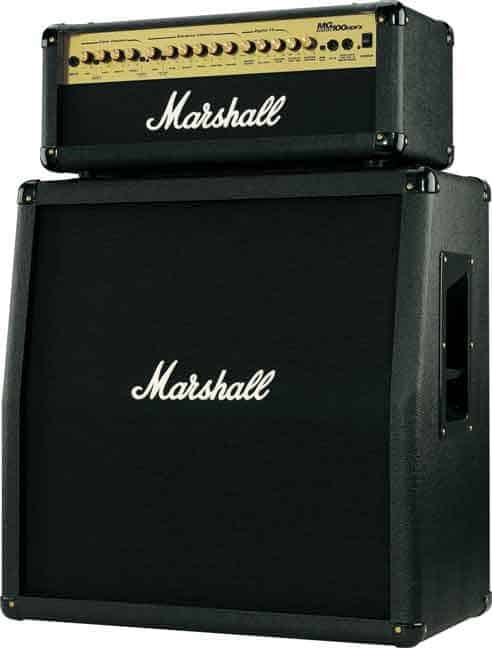 Boasting the exact same features as the G80RCD combo, this compact brute will drive any cabinet from the Marshall range, but best suits the Valvestate VS412A [angled] and VS412B [straight] 4×12 cabs. The MG100HDFX boasts 2 totally independent, footswitchable channels, footswitchable reverb, CD Input, a Parallel FX Loop, and 4 selectable modes [Clean, Crunch, OD-1 & OD-2], and new digital effects.